Time to blow your candle and make a wish. Throw your Birthday Cake. This attack does 10 damage times your age. 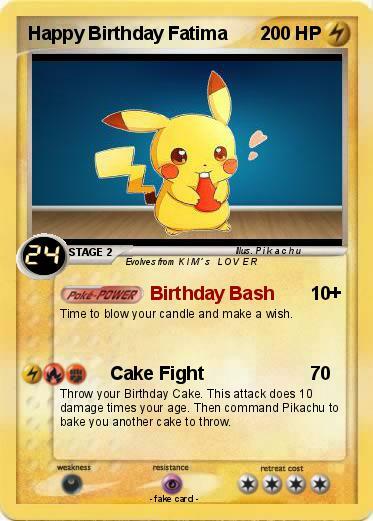 Then command Pikachu to bake you another cake to throw.